New learners can benefit from our amazing starter pack prices, which start at just £50 for 3 hours! A complete list of driving lesson prices, including discount block bookings, new starter packs and intensive courses. Read real life reviews from pupils who have passed with us! Join our team of professional driving instructors and take control of your working life. Our instructional videos show you how to master some of the key manoeuvres on the Leicestershire test routes. 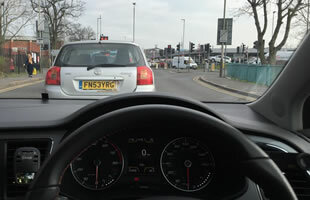 Advice on how to pass the 'Show Me Tell Me' section of your practical driving test. 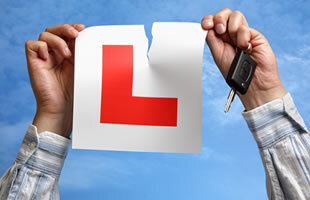 A complete guide to booking your theory and practical driving tests in Leicestershire. Join 100s of students who have passed with us! We've been helping new drivers pass their driving test since 2004. If you're looking for affordable driving lessons in Leicester then get in touch today so we can help you pass first time.. Here at Rapide Driving School in Leicester we believe in the individual. Every learner driver has their own specific needs and requirements and we aim to meet those needs. We will tailor our driving lessons to suit you and your lifestyle. We offer a wide range of training methods from beginner lessons and intensive courses through to pass plus lessons and refresher courses. We are committed to offering not only the cheapest driving lessons in Leicester but also the best value! Just Got Your Provisional Licence? The first time you get behind the wheel can be a very nerve racking time so it’s important to make sure that choose the right instructor. 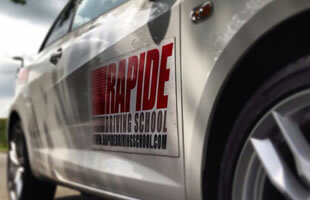 Your Rapide driving instructor will set you at ease and make sure you fully understand how everything works and how to use it. They will also get you driving on your first lesson as that’s what you’re paying for! Looking to fine tune your driving ready for the test or looking for new a driving instructor in Leicester? 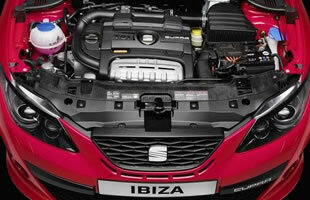 Whatever your needs our expert instructors will assess your driving and give you an honest appraisal of your driving. 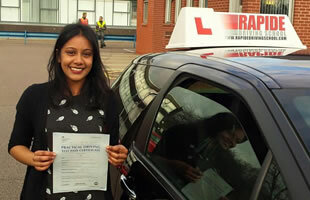 From there the instructor will work with you to get your full driving license in the fewest amount of lessons possible.